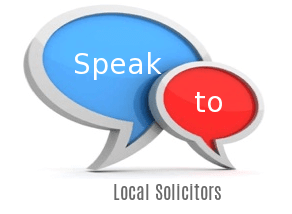 Wragg Mark-Bell Solicitors are a modern local firm offering a personal and friendly level of service and legal expertise. They offer a broad range of legal services. There is nearby on street parking and several local car parks, however they can arrange home visits to see disabled or injured clients if required. Natasha Hall Law deliver high quality legal services to businesses and individual clients. They have a dedicated team of legal professionals covering a number of services. Their offices are easily accessible with free parking available. Acumen Business Law is an award winning, innovative and dynamic Law Firm, providing legal services in a different way. They are a business specialist law firm and in a bold move in the legal industry - they scrapped the hourly rate system and operate a fixed fee-pricing model for all non-contentious matters. Able to help both individuals and businesses, QualitySolicitors Edward Hughes part of a national network of modern and progressive law firms. You will always have direct access to your lawyer including their personal email address with a 'same day response' promise. Initial discussions about your case to decide whether to proceed are always free. They handle: Serious/Catastrophic Injuries, Road Accidents, Residential Property, Personal Injury, Motoring Offences, Mental Health/Capacity, Medical Negligence, Legal Services, Industrial Injury or Disease, Family Law, Employment Dispute, Divorce, Criminal Law, Conveyancing, Consumer Rights Dispute, Commercial Property, Business Dispute Resolution, Wills and Probate, Work Injury. Regulated by the Solicitor's Regulation Authority, Dalgarnos' team of experienced solicitors cover a range of claims including traffic accidents, work injuries, public falls and more. The staff are friendly and you'll be regularly updated about your case progress. They have a high success rate and all initial enquiries are free with no obligation. Jarmans is a full-service law firm punching above its weight to provide personal and business legal services including property, wills/probate, family law, crime, immigration and employment law. They pride themselves on being approachable and available whenever you call, as well as being honest when it comes to expected costs, procedures and timescales. Kent Traffic Law is a niche, motor offence defence practice set up to give the public direct access to an experienced barrister operating in London and the South East. If are at risk of losing your driving licence for an offence from speeding to drink driving or anything in between, call now for a free telephone consultation. LegalRoad is a leading law firm in the UK. Their range of lawyers, consultant solicitors & barristers provide bespoke, comprehensive legal advice. They have a reputation for strong commercial business acumen and success in resolving disputes before the need for court action. They handle: Legal Services, Landlord/Tenant Dispute, Intellectual Property, Housing Disrepair, Debt Recovery, Business/Commercial Law, Business HMRC & Tax Law Help, Business Dispute Resolution, Business Debt/Insolvency.